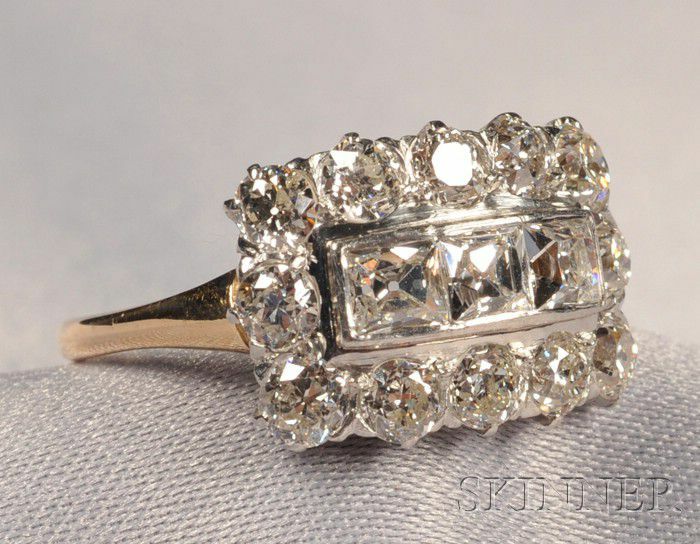 Diamond Ring, set with fancy square and old European-cut diamonds, approx. total wt. 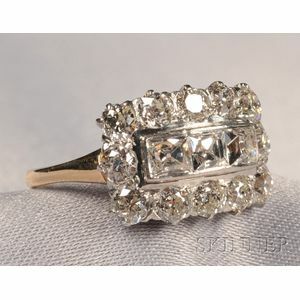 1.75 cts., platinum and 14kt gold mount, size 7 1/2. Diamonds are vibrant and lively, shank appears to have been replaced.